The opening of Clarke’s Diner, a 24-hour restaurant chain that officially opened the doors to its new Hyde Park branch this Monday, has cooked up a storm among gourmands. Even as students have already begun to venture to the diner’s 53rd Street location, operational difficulties have plagued the restaurant during its inaugural week. A smoke alarm went off on Tuesday, and some students have noted that service at the restaurant is slow. Second-year Andy Liou, who lives off campus and does not have a meal plan, said that he was looking forward to eating at the restaurant, but was disappointed when he had to wait over an hour for his food. Clarke’s general manager Stan Karagiannis said that Clarke’s would improve with time. Second-year Annie Pei, who also had to wait an hour and a half for her food, said that she understood the disorganization was part of the restaurant’s first-week learning curve. “Even though I had to wait an hour and a half for my food, I’m not judgmental about that. It was their first day, and they will probably get better,” Pei said. Since University students comprise a substantial portion of Clarke’s late-night visitors, Karagiannis said, one of the central goals of the new location has been making the environment amenable to the University community. To do this, the restaurant made sure to place outlets alongside every booth, and has hung the artwork of University students around the restaurant. We’ve tried to make this a place where University students can feel welcome,” Karagiannis said. Liou said that he welcomed another late night snack option. “It’s UChicago, we’re going to be up at three or four working. We’re hungry, and if Bart Mart’s not open…there’s really no other place to go. The 24/7 diner is a really attractive concept,” he said. 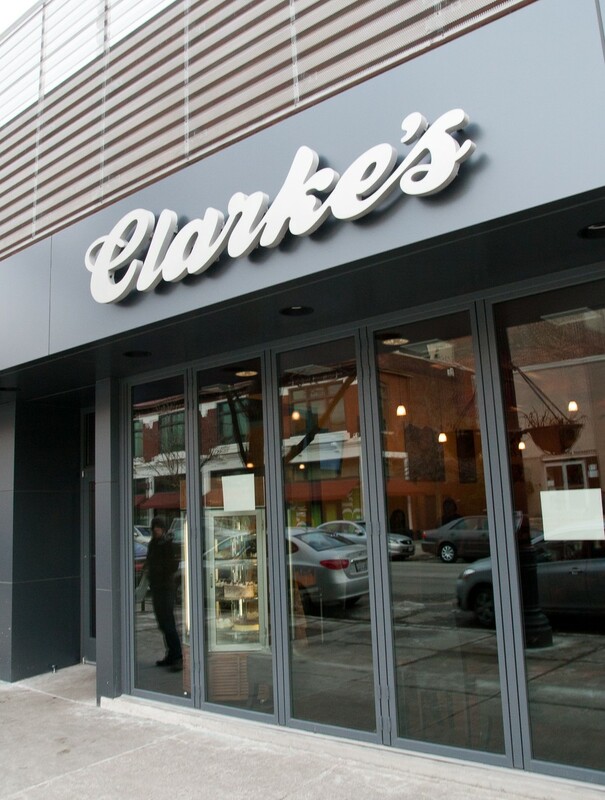 While other Clarke’s locations in the city serve alcohol to patrons, the Hyde Park location will not, in order to make the restaurant a more family friendly location. The University of Chicago Police Department (UCPD) has also reached out to Clarke’s owners to address any security concerns that might arise out of the restaurant’s late hours. In a statement, UCPD Police Chief Marlon Lynch said that the restaurant is in the UCPD’s extended patrol area and would receive patrol car coverage.